Diani Flowers & Landscaping Ltd (DFL) is a Company based in Nairobi, Kenya and has a wealth of experience in gardening, landscaping and irrigation systems installation. The Company has over 25 years experience and continues to expand its range of services, using an environmentally-friendly approach putting emphasis on the conservation of the environment. The company has a wide local and international client base. 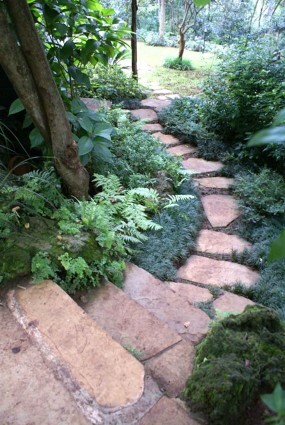 To exceed client expectations by providing the best quality landscape services. To continue grow a service-based company whose primary goal is to provide services to the local and international markets using local materials in an environmentally-friendly way and exceed clients’ expectations keeping in mind the well-being of the staff. To be the leading landscaping company in Kenya and endeavour to provide our customers within the African Region and beyond with eco-friendly landscaping solutions that comply with international standards. By adhering to the enterprise principle of priority quality, professionalism and integrity, we aim to provide high quality products and sincere services that clients yearn for. Our vision includes striving to be the landscaping leader in Kenya and to be recognized for quality, attention to detail, creativity and efficient delivery of professional landscaping, irrigation and landscape management services. Teamwork – Creating great work relationships and a productive work environment through respect, appreciation and open communication and implementation of the UN-Global compact principles and respect for fundamental human rights, social justice and human dignity, and respect for the equal rights of men and women. Client Relationships – Maintaining open and active relationships with our clients to provide the best service while always seeking to establish new relationships to expand our Company. Workforce – To assemble friendly, professional staff who will cater to our client’s needs by offering services and products that create beautiful indoor and outdoor living spaces. Profitability – Efficiently using labour and materials to support a profitable and productive company. Profitability promotes job creation, stability and company growth while providing employees the opportunity to provide for their families and develop careers within the company. Keys to Success – Experienced staff with excellent customer-service skills. Commitment to high quality and professionalism in all work aspects with a positive approach to each new task. DFL provides landscaping drawings, garden designs, irrigation systems installation, green-keeping and lawn planning and maintenance, sports-field establishment and maintenance, environmentally-friendly pest and disease control, floristic work: fresh and dry flower arrangements, ironmongery designs, indoor and outdoor plants, ponds and waterfalls construction, walkways construction, greenhouses construction, swimming pool maintenance and apiculture. This twenty-nine year old landscaping and gardening company targets local and the international market. The objective of the Company is to have an innovative approach to landscaping with emphasis on environmentally-friendly practices in all aspects of work. The Company works with the local community to plant trees and also donates food and clothing to many charities in Kenya. The Kenya Horticultural Society Flower Show DFL was awarded 2 first prizes, 3 second prizes and 1 third prize and two trophies covering various categories. In previous years DFL was awarded 3 first prize awards and two trophies. We received a trophy in recognition of outstanding presentation after participating in Kenya Horticultural Society Flower Show held at Muthaiga Country Club, Nairobi. DFL won one trophy, the Lady Steward cup, and one certificate for the first prize.